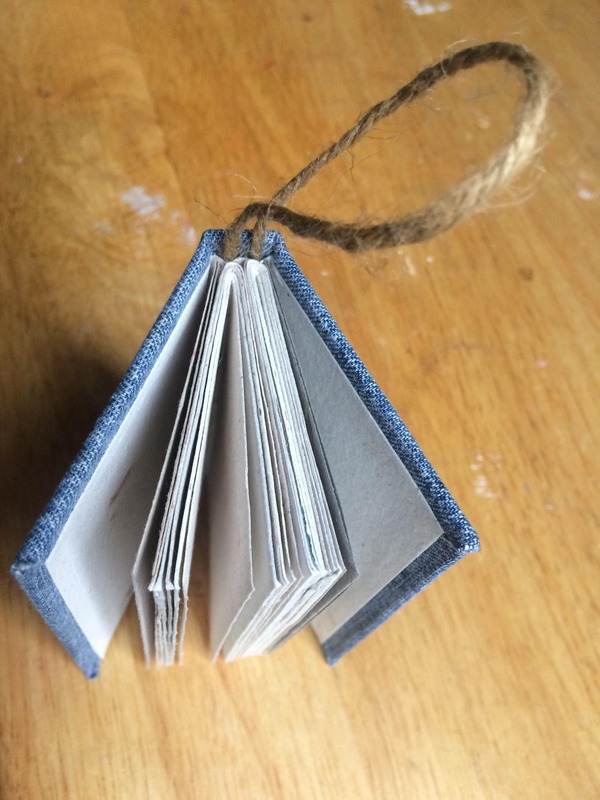 This listing is for One book ornament, measuring approximately 3x4.5 inches. 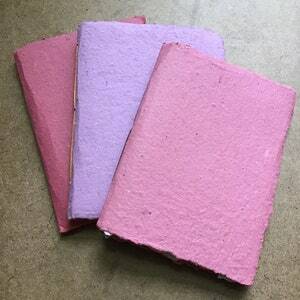 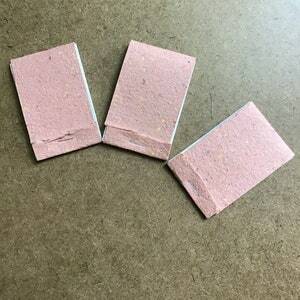 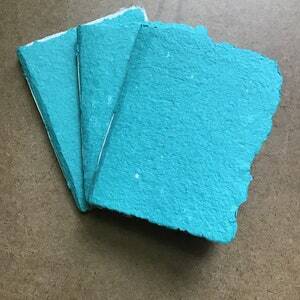 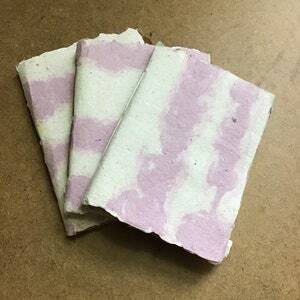 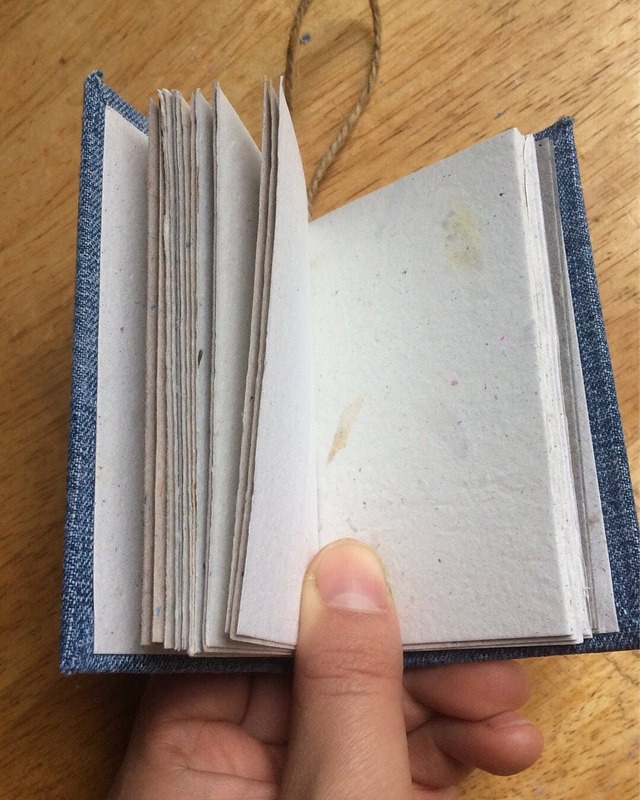 The pages are recycled handmade paper made by me from 100% recycled materials. 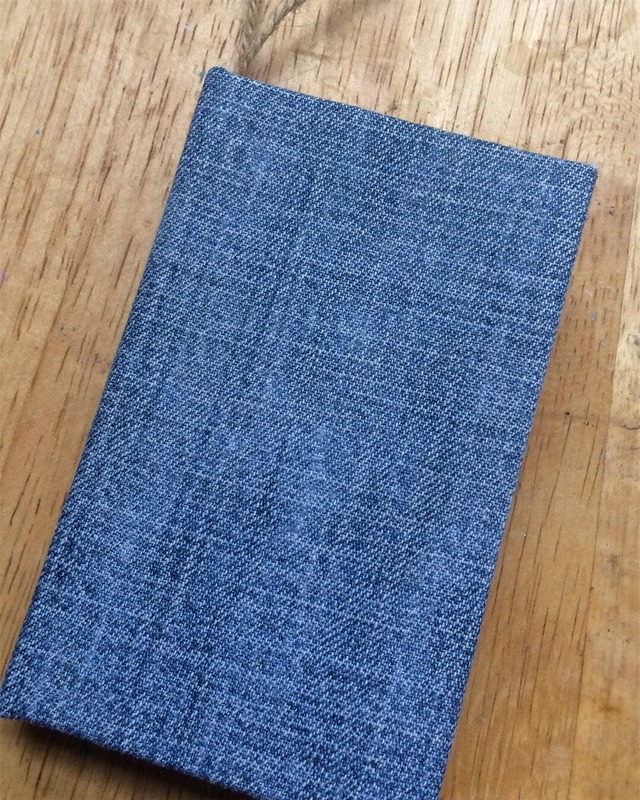 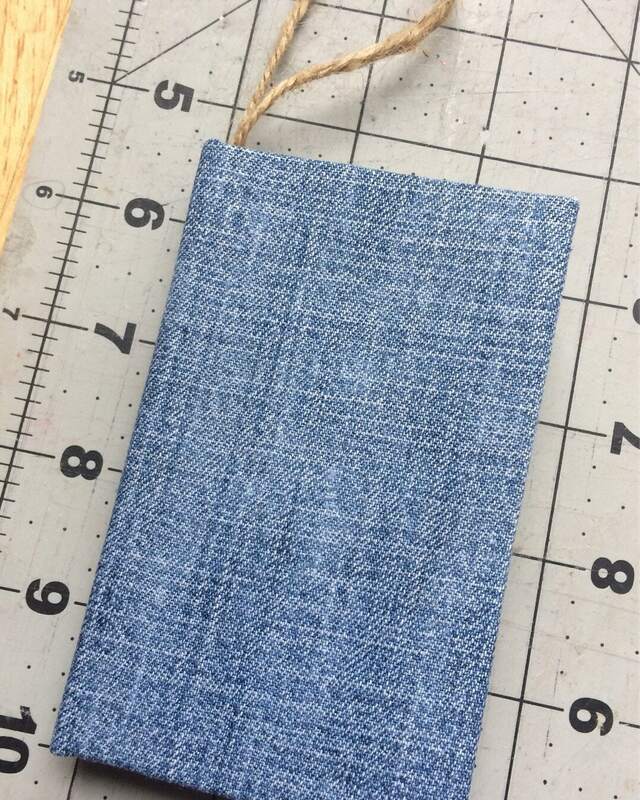 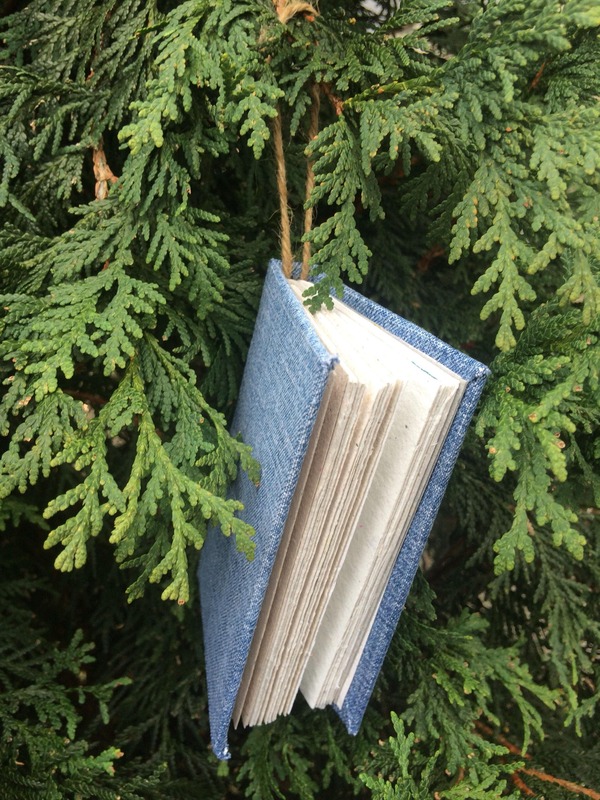 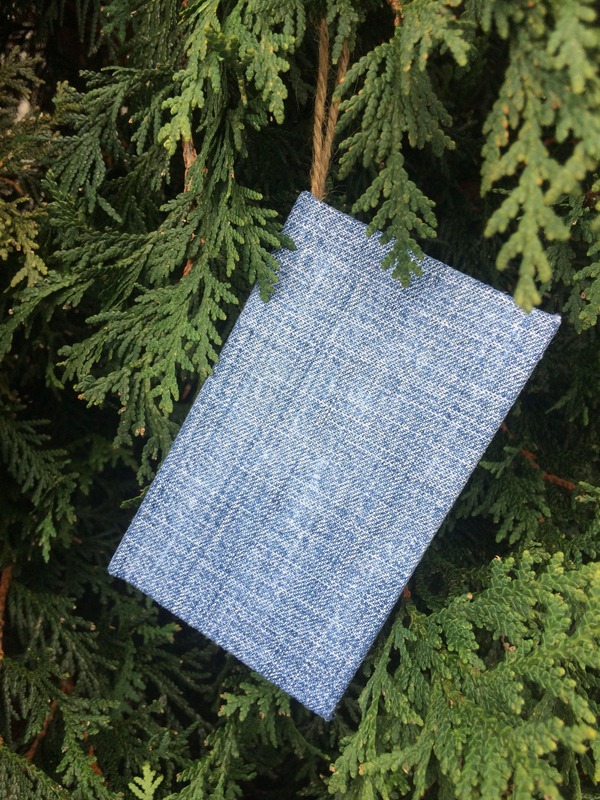 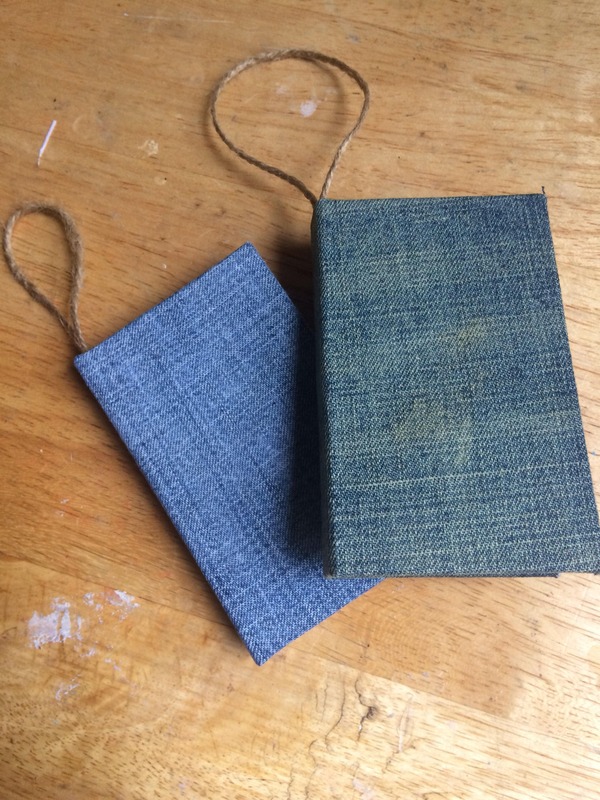 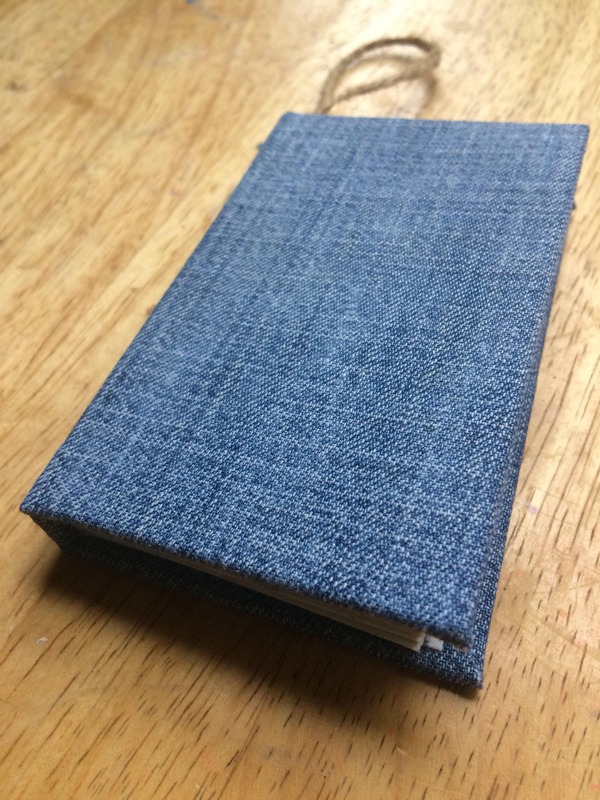 The cover is made from upcycled denim from the legs of worn out blue jeans. 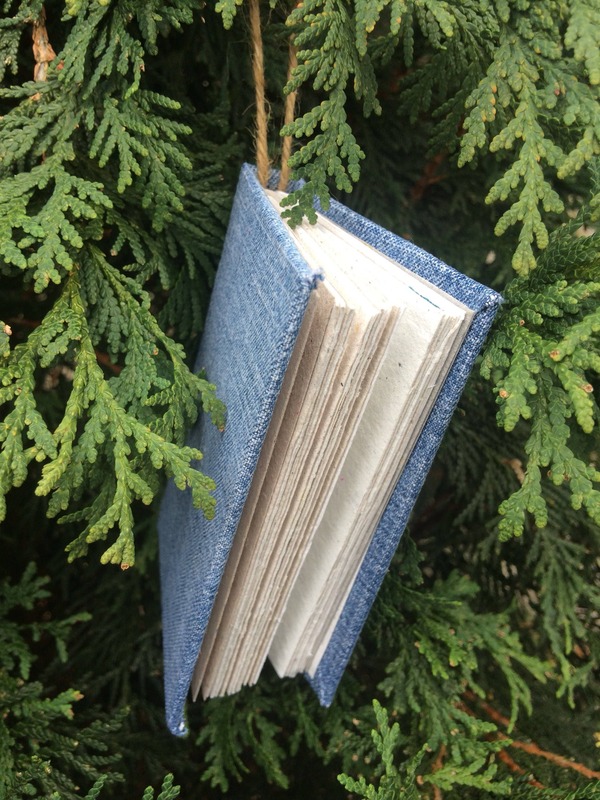 These would be Great gifts for book lovers, librarians, readers, or as a keepsake for baby fingerprints.